Disc vacuum- filter is being prepared for a discharge. 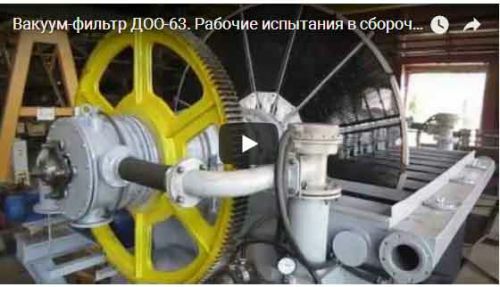 The filter with the jet-pulse cleaning was successfully tested in the assembling department of Rudgormash. The disc vacuum filter DOO-63 is going to leave the factory for its owner Korshunovski GOK. The testings have confirmed the good quality of the product, as we expected. simplicity in maintenance and good servicability. Ergonomics of engineering decisions provides operating and maintaining convenience.